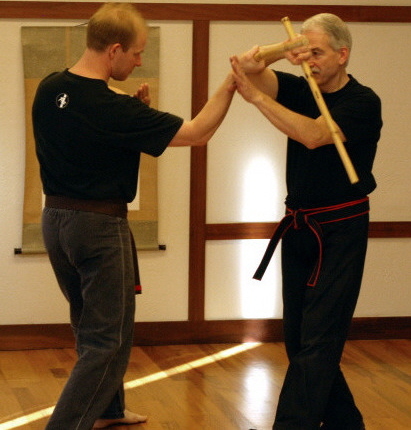 There is a growing body of literature about the long-term effects of martial arts practice. The findings of most of these studies show that the practice of martial arts leads to positive psychosocial changes in participants. Many studies on this subject are cross-sectional in design1 by studying martial artists with different levels of experience or time of participation. These studies used a variety of methodologies to examine students of jujutsu (Nosanchuk and MacNeil, 1989; Daniels and Thornton, 1990; 1992) and karate (Kroll and Carlson, 1967; Reiter, 1975; Duthie et al., 1978; Nosanchuk, 1981; Konzak and Bourdeau, 1984; Richman and Rehberg, 1986; Layton, 1988, 1990; Nosanchuk and MacNeil, 1989; Daniels and Thornton, 1990; 1992; Foster, 1997; Guthrie, 1995; 1997). They found there is an inversely proportional relationship between length of time practicing a martial art, or belt rank, and anxiety (Reiter, 1975; Layton, 1990; Kurian et al., 1993), aggression, hostility (Rothpearl, 1980; Nosanchuk, 1981; Nosanchuk and MacNeil, 1989; Skelton et al., 1991; Daniels and Thornton, 1990; 1992) and neuroticism (Layton, 1988). Additionally, there is a positive correlation between length of time practicing or belt rank and self-confidence (Duthie et al., 1978; Konzak and Bourdeau, 1984), independence, self-reliance (Konzak and Bourdeau, 1984; Kurian et al., 1994) and self-esteem (Richman and Rehberg, 1986). Longitudinal studies looking at students of hapkido (Spear, 1989), judo (Pyecha, 1970), jujutsu (Daniels and Thornton, 1992) and karate (Daniels and Thornton, 1992; Foster, 1997) support the findings of the cross-sectional studies summarized above. Martial arts practice cultivates decreases in hostility (Daniels and Thornton, 1992), anger (Brown et al., 1995) and feeling vulnerable to attack (Madden, 1990; 1995). They also lead to more easygoing and warmhearted individuals (Pyecha, 1970) and increases in self-confidence (Spear, 1989), self-esteem (Finkenberg, 1990; Brown et al., 1995) and self-control (Brown et al., 1995).